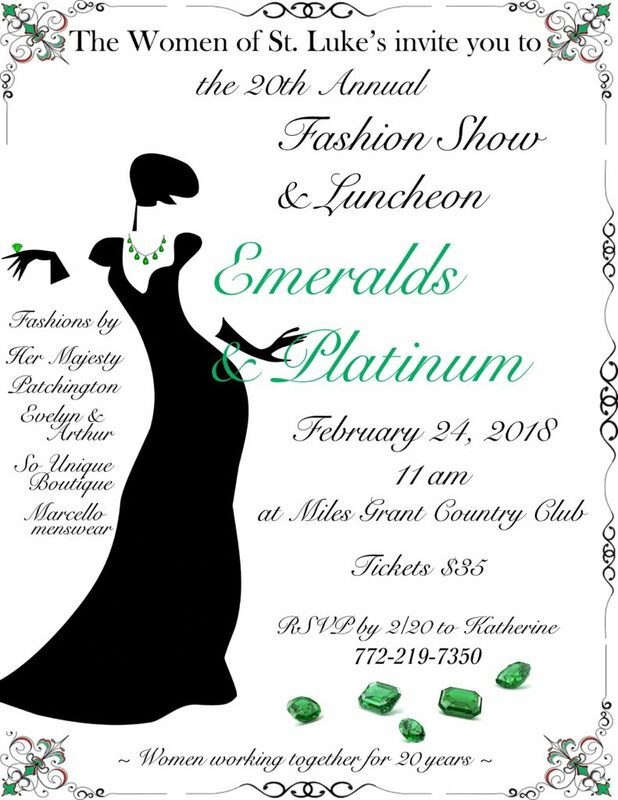 Women of St. Luke’s Episcopal Church of Port Salerno will have its 20th annual fashion show/luncheon with the theme this year being Emeralds & Platinum. It will be 11 a.m., Saturday, Feb. 24 at Miles Grant Country Club, 5101 S.E. Miles Grant Road, Stuart. Fashions by Her Majesty, Patchington, So Unique Boutique and Marcello menswear. Tickets: $35. RSVP by Feb. 20 to 772-219-7350.